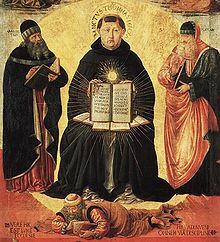 Treatise on Law is St. Thomas Aquinas' major work of legal philosophy. It forms questions 90–108 of the Prima Secundæ of the Summa Theologiæ, Aquinas' masterwork of Scholastic philosophical theology. Along with Aristotelianism, it forms the basis for the legal theory of Catholic canon law.